On any given day, your heating and air conditioning system could be circulating a variety of pollutants throughout your home. Such pollutants can include smoke, ash, pollen, pet dander, mold, fungi, bacteria, and dust that get into your home primarily through open or leaky windows and doors. 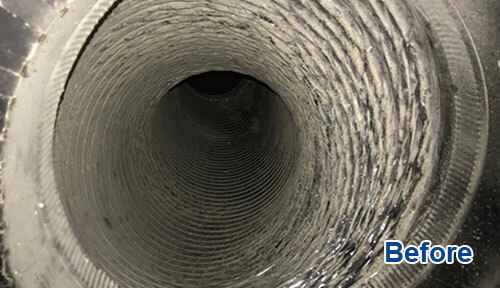 Once in your home, the pollutants can be pulled into your ductwork through return vents and old or damaged air ducts. Without a high-quality, whole-home ventilation system, these pollutants can be recirculated throughout your home several times a day while your air conditioner or heater are running. 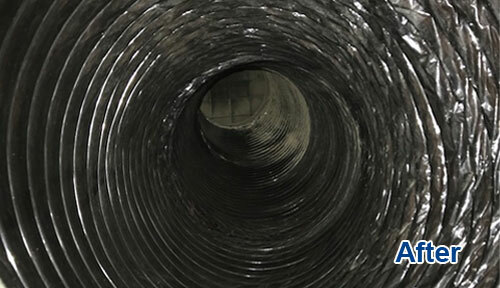 To help our customers improve the air quality within their home, Anacapa now offers professional air duct cleaning in Ventura, Santa Barbara, Oxnard, and surrounding areas. This highly effective and affordable service is performed by our NATE certified HVAC technicians using Rotobrush's most powerful duct cleaning equipment: BrushBeast. The BrushBeast's impressive vacuum works with the system's specially designed brushes to loosen and remove even the heaviest of build up throughout your ductwork. It is safe to use on all types of ductwork, including flex ducts, and has an advanced filter bag to ensure that all of the loosened debris is captured and contained. 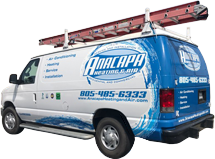 If you are interested in air duct cleaning services in Oxnard, Ventura, Camarillo, Santa Barbara, Thousand Oaks, Westlake, Simi Valley, Ojai, Malibu, or other nearby area, call Anacapa Heating and Air today. We are happy to answer any questions and provide over-the-phone estimates. Very reliable. They arrived when they said they would, were neat and did a good job installing air conditioner and new furnace . . .